Hey ho, Guildies! Anyone in the DC area absolutely MUST come to AweseomeCon this April 18-20 in Washington, D.C.! T will be there, at table #F1, along with an absolutely absurd guest list of actors, comic creators, and more! 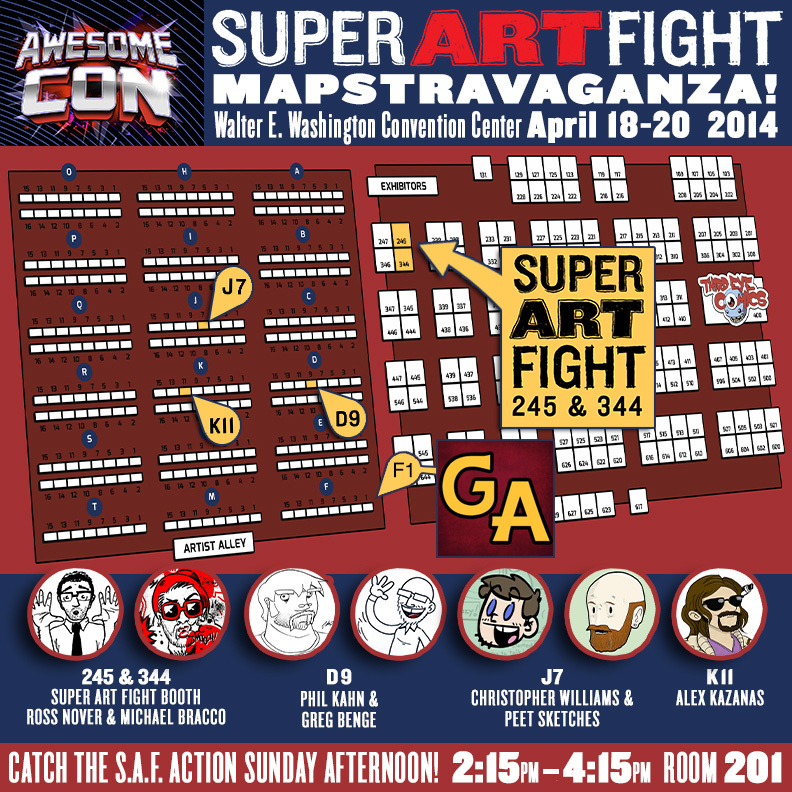 Anyway, also in attendance will be the greatest live art competition in the known universe, Super Art Fight! Performance is on Sunday at 2:15, so BE THERE! I and one of my co-fighters, Greg Benge (known best for the flash-interactive comics he did here for GA) will be at table D9! Consult this handy chart to find us and our friends! Today, in an attempt to pass the time between putting in hours at the day job and figuring out where I am going to sleep next, I and a few folks on Twitter did an experiment I call #TwitterDnD: an attempt to emulate a fulfilling, whole experience of sitting at the D&D table… over Twitter. Slashing apart the rules and handling all the dice rolls myself as DM, I think we managed to do a pretty hilarious Part I for our little module I’d like to call “Maison de Falcone.” Read the results for yourself here!